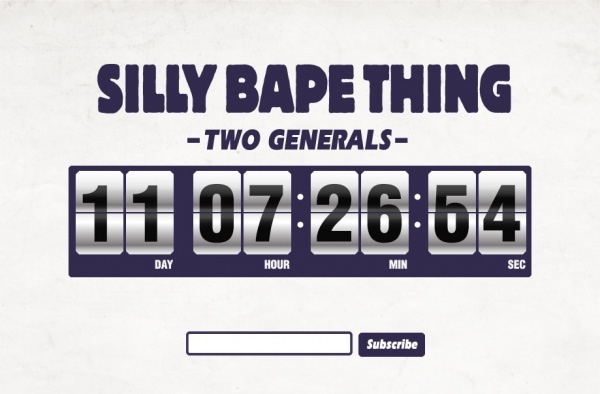 Silly Thing and Bape have decided to team up for an upcoming collabo, and haven’t told anybody. Instead, they’ve dropped this teaser website on us, with nothing but a subscription option, and countdown timer. Looks like the big reveal will happen August 31st. We’ll check in with you guys on it then.